The viral video of the headmaster of the Breman Edumanu District Assembly Basic School in the Asikuma Odoben Brakwa district in the Central Region, Robert Sepey, having intimate relations with an SHS student was leaked by ‘jealous’ friends of the girl’s brother, YEN.com.gh can report. According to the girl, Priscilla Tettey, the video was originally recorded about a year when she was dating the headmaster for their viewing pleasure. She however, forgot to delete it when she gave her phone to her brother to transfer some songs and he stumbled upon it. Some of her brother’s friends, who had had their love proposals rejected by Priscilla before, decided to publicise the video, apparently as ‘punishment’ for rejecting them. “Other friends of her brother also saw the video and they decided to spread it because they had proposed love to her and she refused,” a delegation of the Ghana Education Service (GES) revealed as part of their findings. The delegation led by the District Director of Education, Isaac Godwin Kwasi Acquah-Arhin, also found out that contrary to reports that girl was 16 years old, she was actually going to be 19 years-old in June. 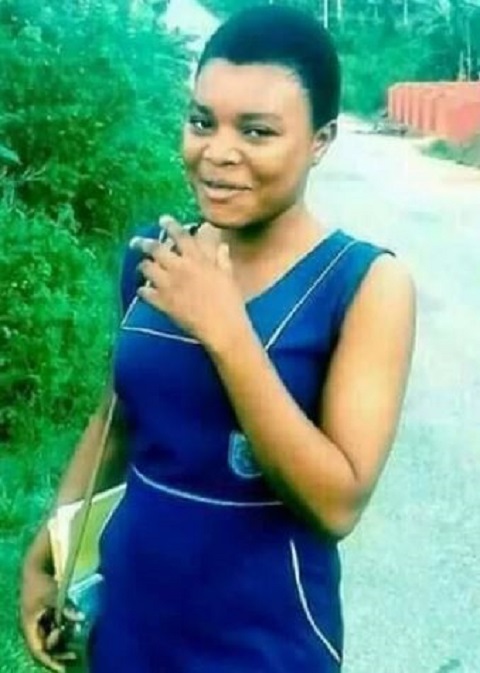 It was also discovered that Priscilla actually completed Edumanu D/A Basic and was once a student of the headmaster. Their relationship is said to be known to her family. The GES after the deliberations has relieved Mr Sepey of his position and asked him to hand over to his Circuit Supervisor for as he faces a two-man disciplinary committee. The parents of the girl and other family members, the GES report suggests, were interested in getting the people who leaked the tape aressted and punished. Meanwhile the Central Regional Police Command has commenced investigations into the matter and has delclared three people wanted over the leaking of the video.